The film stars Shahid Kapoor, Kareena Kapoor, Diljit Dosanjh, and Alia Bhatt in lead roles. It opened well on its opening day (Friday) across the nation. On comparison, its occupancy is even better than that of Housefull 3 in North India. An average movie starts with a low occupancy in the morning and increases after afternoon, but it isn’t the case with this movie. It got good occupancy right from the morning shows and later on, increase further. Self-proclaimed movie critic and trade analyst Kamaal R Khan (KRK) tweeted about the same to confirm the news. The latest directorial venture of Abhishek Chaubey has showcased the vicious problem of drug abuse in Punjab via this film. The flick started the buzz and came into the limelight with the release of its trailer. In the initial times, Alia was made a joke for carrying the character of a Bihari migrant. Then, the Central Board of Film Certification ordered 94 cuts in it for which the censor board was trolled on social media especially twitter. However, the makers didn’t do the cuts. Instead, they approached the Bombay High Court. The HC passed the order to release the film with just one cut. After that, a censored copy leaked online two days before the release. The producer Anurag Kashyap posted a status for all the downloaders and urged them to wait until Friday. However, trade experts believed that it would not affect the Udta Punjab box office collection to a large extent. The film may witness a marginal effect. The co-founder of Grand Showbiz and Entertainment Ltd. Rohit Shelatkar who is the overseas distributor of the movie said that it got the required start in the UK and started faring well with good word of mouth. 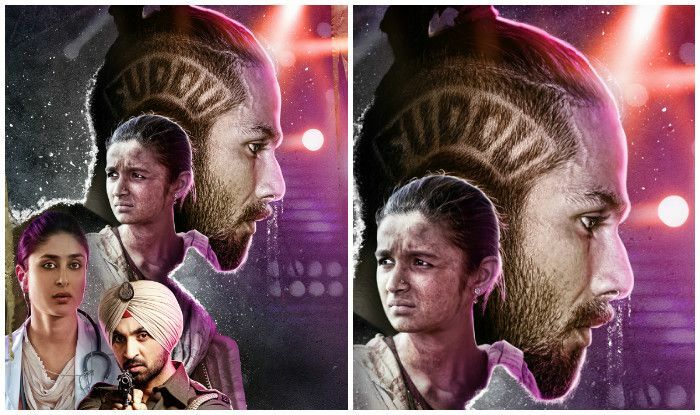 At the UAE-GCC circuits, the Udta Punjab opening day collection has been decent. It collected over Rs. 59.33 lakhs (~AED 325,000) on the day 1 as reported by trade analyst Taran Adarsh. On an average, the film got over 40 percent occupancy in India with several areas registered over 60 percent occupancy especially in the northern region. Co-produced by Anurag Kashyap, the film has been made under the banner of Phantom Pictures of Anurag and Balaji Telefilms of Ekta Kapoor. The film shows the biggest issue in Punjab of the drug trafficking.